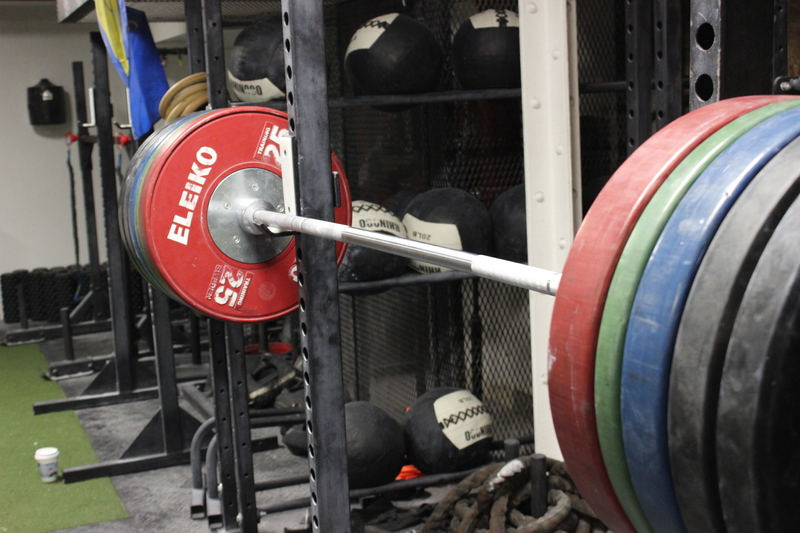 As coaches and athletes, we know all too well the powerful effects of the almighty squat. We also know how daunting and elusive a strong, stable, and healthy squat can be for many athletes, client’s, and even us coaches to develop. We are often bombarded with a million and one ways to squat healthier, become more mobile, and ultimately develop a better squat. Deep intrinsic core muscles need to he highly active to secure the pelvic floor and stabilize the spine in the squat. By performing breathing variations prior to loaded squats, athletes can channel their deeper intrinsic contractions and maximal bracing capacities. These are often done for longer sets of slow, controlled, and mindful breathing cycles. This is a great exercise to develop proper ankle, knee, and hip tracking necessary for a healthy squat. By performing the counterbalance squat, you allow an athlete to explore a more comfortable, balanced squat with the help of a counterbalance to assist them in a more upright squat patterning. These are often done with light to moderate loading under slow, contracted, and controlled movements. The belt squat is a great tool to use for athletes and clients who may have limited range of motion, balance, and or lack of quadriceps strength and muscular development. This exercise forces the athlete to pull their hips downwards (instead of excessively backwards), mimicking squat patterning needed for weightlifting, front squats, and general squat health (only exception is the hip dominant squat patterning often used in powerlifting, however even then isn’t this can increase leg strength). Adding these into hypertrophy sets and/or as regressed versions of back loaded squats (in event someone has back issues or is trying to moderate spinal loading) can do wonders for ankle, knee, and hip tracking, as well as overall muscular development. These are often done for high volume training, often 3-6 sets of 8-15 repetitions. Spinal integrity and rigidity is key while under a loaded barbell, with a large emphasis on the ability to resist spinal flexion as one gets deeper and deeper into a squat. Back loaded barbell extensions can aid in the muscular development of the erectors, lats (isometric strength) and scapular stabilization while securing the barbell in place. The addition of the glutes and hamstrings involvement makes this a key assistance exercise for all levels. These are often done to build hypertrophy and strength using using 2-5 sets of 8-12 repetitions. Many of you are familiar with the pause squats and it’s immense benefits for controlled force production at the deepest of end ranges. By defending into a slow, controlled, and rigid bottom position in the squat you can work to increase eccentric, isometric, and concentric force production, resulting in stronger squats. Additionally, the increased time under tension will drive muscular hypertrophy and challenge the overall development of one’s fine and gross motor skills to find balance and secure a vertical barbell path throughout the entire squat. These are often done using moderate to heavy loads for numerous sets of 2-5 repetitions, with paused holds from 2-5 seconds. While there can be many reasons why an athlete’s squat strength and health is lacking, coaches and athletes can explore and integrate some of these movements to address specific weaknesses an athlete may posses. It is recommend that all athletes go through a movement screen and/or are cleared to exercise following surgery, long lay-offs from training, and/or unknown events leading to any movement issues.